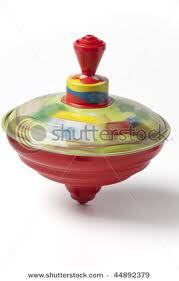 Is Your World Like A Spinning Top? In mid-life, change is constant. How we react to change determines a lot about how much we enjoy our careers, relationships and life itself. This column focuses on careers, work and the jobs we perform everyday (or hope to perform as soon as you find a new one). Sometimes the lines between our professional lives and personal lives blur. Change and our reaction to it---is often the culprit. Psychologists and other professionals will tell you that change is not an inherently bad thing. In fact, we cannot evolve without it. I agree with you, change is a lot easier when we initiate it. (And even then, leaving a good company, a relationship, a wonderful neighborhood or a dear friend is still hard). I’ve experienced all four scenarios and as tough as those situations have been, what is waiting on the other side of those changes is the next phase of your life that in a few short years---you will not want to change. You will still have the benefit of all the great memories of your experiences that came before. Jim Collins reminds us in his book, Good to Great, “good is the enemy of great," at least for companies-could it be true for individuals too? 1. Realize change events seem to speed up as we get older. There’s always something happening, so be compassionate (especially with yourself). 2. Take care of your health-it makes dealing with other changes coming at you easier. I try to eat right, exercise, get enough sleep and stay positive. 3. Realize that if I keep doing what I’ve always done—the result will not change. So, I decide what I want my life to look like and take the first (scary) step in that direction. I just finished a great book, Necessary Endings by Dr. Henry Cloud (also available as an audio book). It is the first book I’ve read that addresses career and personal transitions together. You may want to check it out. Oh yeah, don’t forget your life preserver while swimming in the deep water and be prepared for wild waves. Brenda! I LOVE THIS ONE!!! Thanks so much for blogging again, it has been a while since you've posted and this one is right on time for me. A lot of big changes in my life right now. Too much change all at once is a killer. You don't address the fact that we can't control the rate change comes at us.